Over the last decade, Ruby on Rails has become an increasingly popular solution for building web applications through a fast and cost-efficient development process. Is Rails really the answer to our current needs in app development? Read on to find out. But first, what exactly is Ruby on Rails? It’s a web application development tool – a framework written in Ruby programming language that serves you in the development process by providing the structure for the code. 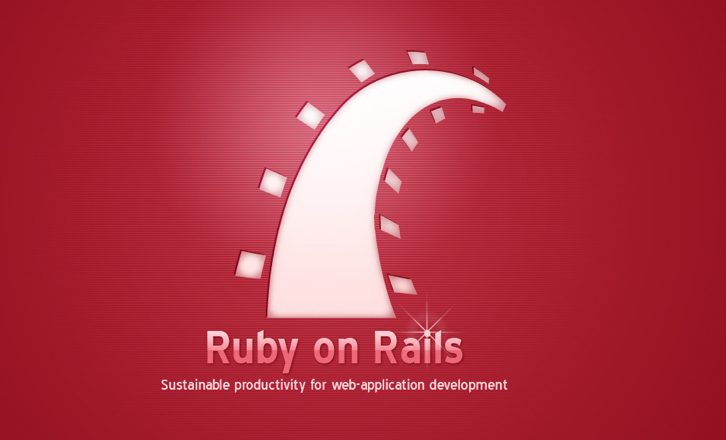 One thing is clear – the knowledge of Ruby on Rails can nowadays land you a great job or project, bring on some major perks and grant you access to a thriving Ruby on Rails community. Its automated character – it helps to abstract and simplify common repetitive tasks. Its speed – with Rails, web apps can be launched really quickly (some talk about six weeks!). The secret of the framework’s efficiency is that it involves fewer lines of redundant code, the existing components can be re-used rather than built from scratch, just like the already existing plug-ins called Ruby Gems. It’s cost-effective – saving up on time means saving up on money. Ruby on Rails is highly automated and helps to cut down on significant parts of the project, allowing developers to focus on specific problems instead of trying to work out the framework itself. It’s open-source – Ruby on Rails, as well as the majority of its libraries, is open-source. The framework runs on Linux, which itself is also open-source. What’s the perk? A Rails project won’t involve any licensing costs. It’s flexible – it’s easy to change a launched app quickly and efficiently. Adding new features, applying changes to the data model and making other modifications is a piece of cake. It’s productive – Rails is self-documenting, making it easier for other devs to pick up existing projects and have a clear idea about their previous development. Not all website hosts support Rails – PHP is still easier to host, but there are a lot of platforms that host various languages and frameworks, including Rails. Rails is resource-rich and even though it’s self-documenting, making your way through all the resources like Ruby Gems and other plug-ins can at times be problematic. Ruby itself is not considered an easy language – it’s worth to mention that the devs who work with Rails are most likely polyglots that know several other languages besides Ruby. Considering all the above, by now you’ll have a clear idea whether Ruby on Rails could suit your requirements and technical capacities. Remember – the users of Rails often admit that switching to different, less automated frameworks can become really annoying after they’ve experienced the ease and high productivity that come with Ruby on Rails. Monique Rivers is an Australian tech blogger who also loves good food and fashion. She works at ninefold.com. Ninefold is a Ruby on Rails platform, that allows you to deploy Rails apps quickly and easily. Rails is good but nothing can beat Python frameworks like django, pyramids and flask. I gave Ruby on Rails a chance for a Coursera course. I was able to learn a fair bit and truly appreciate its flexibility and speed; however, it just wasn’t for me because I was so used to PHP. I Love Rails but Rails can never take CakePHP’s Place.